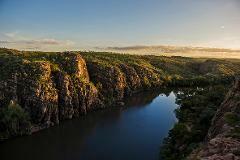 Join Kakadu's scenic specialists with Kakadu in Day. 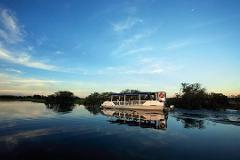 This tour is designed to show off the best of Kakadu & includes scenic flights to/from Kakadu, Yellow Water Cruise, a visit to Warradjan Aboriginal Cultural Centre & park entry fees. This tour is designed to show off the best of Katherine in one day! This tour includes scenic flight(s) to/from Katherine, Nitmiluk (Katherine) Gorge Cruise, a visit to an art and cultural centre and lunch.